We offer a variety of tool steel and aluminum inserted tooling. Interchangeable inserts will accommodate low medium and high production volumes. 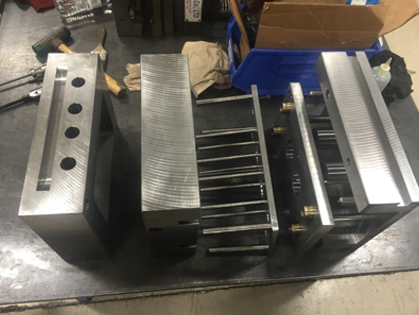 Depending on your application we can use a pre made mold base or we can cut a mold and base from plate material. Tool steel and aluminum mold bases available. 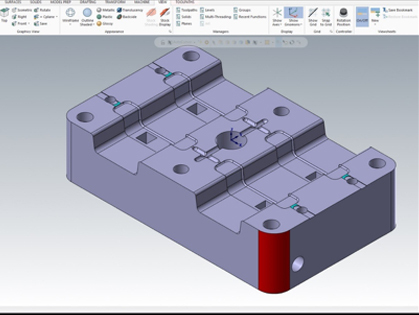 Our experienced tool design team optimizes Design for Manufacture mold design. We offer multiple cavity arrangements and slide action capabilities for complex and high volume part requirements. Our specialty is designing building and maintaining 0-250 ton tooling. If your project requires a larger capacity other accommodations are available.